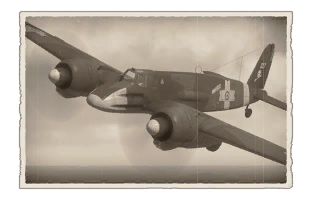 This page is about the premium attacker Hs 129 B-2 (Romania) (Italy). For other uses, see Hs 129 (Family). The Hs 129 B-2 (Romanian Air Force) is a rank III premium Italian attacker fighter with a battle rating of 3.7 (AB), 3.3 (RB), and 2.7 (SB). It was introduced in Update 1.83 "Masters of the Sea" during War Thunder's 6th anniversary. ? ? 7 500 ??.? ??.? ??.? ??.? ??? 630 295 ??? ~?? ~? Summarize and briefly evaluate the vehicle in terms of its characteristics and combat effectiveness. Mark its pros and cons in the bulleted list. Try not to use more than 6 points for each of the characteristics. Avoid using categorical definitions such as "bad", "good" and the like - use substitutions with softer forms such as "inadequate" and "effective". This page was last edited on 25 March 2019, at 19:13.